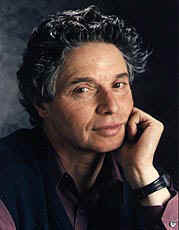 Avi has written an abundant amount of books in his long career. Part of his appeal to young readers is his extremely varied range of topics covered in his novels. He has written comedies, historical fiction, fables and many more. It is very difficult to compare and contrast his books because of how different they can be. Sometimes it is like comparing apples to oranges. In the case of The Book Without Words and Don't You Know There's a War On? that problem is exactly the issue. I will begin with a short description of each of the books. This novel is set in the medieval era and the story revolves around an alchemist, his servant and his raven. The action begins with the alchemist using a mysterious Book Without Words to create the stones of life. His servant, Sybil and his raven, Odo come into the information that their Master plans to sacrifice them in order to gain eternal life and they must make a decision as to what plan of action to take in order to survive. The story is in the format of a fable with anthropomorphic characters and a final lesson to be learned. This novel is set during World War II and follows the life of a young boy throughout his fifth grade year in school. When he discovers that his favorite teacher is going to be fired, Howie and his best friend, Denny, come up with a plan to save her job. It demonstrates the effect that a really good teacher can have on the lives of his/her students and the important lessons students can learn from life. Both of these books are wonderfully written and exciting from the first page. The action continues nearly right up to the very end of the book. The books are each set in extremely distinct time periods and the era almost becomes a character in itself because of the deep description provided and the effects on the action the time has. Avi's characterizations are deep and meaningful and he does a wonderful job making the characters real to the reader. Howie and Denny and Sybil, Alfric and Odo are all experiencing a crisis in morality. In The Book Without Words the characters must confront the knowledge that their Master has placed them in a position where they must chose ending his life or losing their own. Sybil struggles with this dilemma in the fact that she wishes to find a way to save herself without betraying her Master. Howie learns of a course of action to take place that he feels is extremely unfair. He and his friend must decide whether or not Miss Gossim's job should be saved. As soon as Howie determines the reason for the firing he decides that it is unjust and he sets out to fix the situation. Both dilemmas are solved by the end of the novels, however, they are solved in very different ways. In Don't You Know There's a War On? the novel is concluded with a successful and happy Howie. However, in The Book Without Words, the action is concluded with the demise of Sybil's Master, the metamorphasis of Odo and the uncertain future of the three main characters. Each of these books seems to be teaching a few lessons one of which is the same. Both books provide the idea that even the underdog can win a battle if the cause is important enough to them. Both Sybil and Howie succeed in their causes. However, The Book Without Words mentions the importance of understanding that life is not eternal and the important aspect of life is not how long it is but the quality of the life led. Don't You Know There's a War On? highlights the importance of friendship and the lasting effect that relationships have on those involved. These books are really wonderful reads that engage the reader right from the beginning and keep your complete attention all the way to the end. They discuss topics that are important for all people young and old to think about including friendship, ethics, and mortality. These books left me wanting more and led me right to some of Avi's fantastic other titles like Midnight Magic, Crispin: The Cross of Lead and The Man Who Was Poe.